CREAF needs to incorporate two field technicians very urgently for the LIFE project "Red Bosques: Knowledge and training networks for the efficient management of Natura 2000 Mediterranean forest habitats in Spain" (LIFE15 REDCAPACITA2015 GIE/ES/000809), and immediately after that for the SISEBIO project (“Programa Global de Seguiment de la Biodiversitat de la Generalitat de Catalunya”). The contracts are full time for three months, from May to July 2018, with a gross salary about 1700 – 2150 € per month, depending on candidates’ skills. CREAF needs to incorporate in a short time a postdoctoral researcher profile to the project SYNERGY GRANT - IMBALANCE (ERC-2013-SyG 610028-IMBALANCE-P, funded by the European Commission). The contract is expected to start in May, 2018, and will finish at the end of the tasks required for the project. Work time will be 4 days per month. El CREAF precisa incorporar molt urgentment un/a tècnic/a de camp i laboratori, per a un projecte d'estudi dels efectes del foc, a mig i llarg termini, sobre la diversitat de formigues. El projecte és a càrrec de l’ajut amb referència RYC-2015-18448, concedit per l'Agència Estatal d'Investigació, finançat pel Ministeri d'Economia i Competitivitat i cofinançat pel Fons Social Europeu. El contracte és per a dos mesos (maig i juny del 2018). 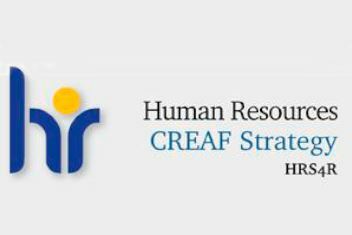 CREAF needs to incorporate a graphic designer for the LIFE12 ENV/ES/000536 MEDACC project ("Demonstration and validation of innovative methodology for regional climate change adaptation in the Mediterranean sea", funded by the European Commission). The contracted person will be in charge of the design and layout of the final dissemination materials of the project, keeping its corporate image, and in charge as well of contact and management with the print shop of the printing and delivery of the final products in the established terms and time. The contract will be half-day during the months of May and June 2018.